The limitations of the subject right now: . . . we do not know how brain processes cause consciousness. There is no question that much of the human being can be accounted for in a mechanistic fashion. Much of the body-mind complex is indeed a machine, and our knowledge for how to bring the body-mind into a state of balance draws heavily upon the regularities and laws noticed in the patterns of the machine: Suffering from iron-poor blood? Add back some iron. Suffering from being abused by your mother as a child? Stop projecting that old pattern of �feeling abused� onto all women, and start actively relating to women (including your mother) as who they are, in the present. And so on. All that kind of knowledge is wonderful, but it doesn�t account for �the machine� being conscious. Woman: Men are all alike. Woman: They�re always bugging us about something or other. ELIZA: Can you think of a specific example? Woman: Well, my boyfriend made me come here. ELIZA: Your boyfriend made you come here. Woman: He says I�m depressed most of the time. ELIZA: I am sorry to hear you are depressed. Woman: It�s true. I am unhappy. ELIZA: Do you think coming here will help you not to be unhappy? Woman: I need some help, that much seems certain. ELIZA: What would it mean to you if you got some help? Woman: Perhaps I could learn to get along with my mother. ELIZA: Tell me more about your family. THEN respond: �Tell me more about your family�. If the soul, says spiritualism [in countering the materialistic view], is composed of parts, atoms (or, as we should say nowadays, of living cells of gray cortical substance), how can it be felt as a unity? How does it become conscious of the me? This feeling, this perception of the unity which is called the ego, is conceivable only in a real individual, in a unity, monad, or atom, and not in a sum of monads, atoms, or individuals, not in the whole nervous system. For a sum or whole is merely an idea, a mental being; its parts alone have real existence (nominalism). Hence these (the monads, atoms, or individuals making up the nervous system) can feel themselves, each for itself and separately, as unities or I�s; but the nervous system, the whole, cannot, for the whole is not an individual, an objective and existing reality. This, as Priestley himself confesses, is the strongest, and, in fact, the only serious argument that spiritualism can oppose [to materialism]. How can the one arise from the many? He declares that he cannot explain the difficulty, but that, if it really is a difficulty, it exists for spiritualism as well. Psychological consciousness is nothing but plurality reduced to unity, or unity derived from plurality, or, in a word, the synthesis of the one and the many, i.e., an inexplicable mystery. Spiritualism is as unable to tell how a multitude of ideas, feelings, and volitions can constitute the unity of self, as materialism is powerless to explain how a multitude of atoms can form a unity. Hence, spiritualism has no advantage over its adversary in this respect. 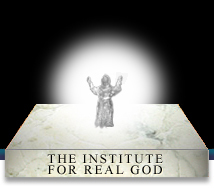 Weber is exactly right: �spiritualism�, as he calls it, does not account for consciousness either. A �soul�, or �psyche�, or �spirit�, if it has individual form and content (e.g., carrying psychic patterns that repeat from lifetime to lifetime via reincarnation) looks simply like an additional (non-material) component of the �body-mind� machine. When the �body� part of the machine drops off at physical death, the �mind� part lives out its destiny in the non-material dimensions of reality. But what gives consciousness to that psychic pattern or psychic machine? As we can see, simply adding a non-material layer to the machine just puts off the question. There are a couple of other catch-phrases coined by materialists that are worth a moment�s examination: consciousness as an �emergent phenomenon�, and consciousness as �the ghost in the machine�. Consciousness as an "emergent phenomenon"
When I was an active researcher in Artificial Intelligence, I used to hear on a regular basis the notion that as yet unexplained aspects of human beings such as consciousness were "emergent phenomena", that is, they spontaneously arose as by-products of a very complex context, illustrating the point that the whole is (sometimes) greater than the sum of the parts. For instance, my colleagues would talk of the massively parallel architecture of the brain � with vast numbers of neuron �mini-computers� working simultaneously � as the complex context in which something like consciousness could emerge. This, in contradistinction to the (by and large) �serial computer� (one computer) context in which most Artificial Intelligence and cognitive modelling programs had been constructed, to date. So the insinuation was that, with time, and with zillions of computers working in parallel (like the neurons of the brain), we would be able to create conscious computers. However, �emergent phenomenon� is just a catchy phrase. It in no way explains how this emergence takes place. (See, e.g., [Searle, The Mystery of Consciousness; Chalmers, The Conscious Mind: In Search of a Fundamental Theory; Shear, Explaining Consciousness: The Hard Problem; and Avatar Adi Da Samraj, Drifted in the Deeper Land] for a discussion of some of the difficulties.) What it does do is appeal to the �mad scientist� archetype that continues to recur in science fiction movies to this day. Here�s how you do it, if you�re a movie director: you create a scientific laboratory that looks incredibly complex � zillions of flashing lights, zillions of test tubes, zillions of chemicals being combined, etc. Basically your aim is to completely overwhelm the viewer with the sense of complexity, to the point of what movie critics call �suspension of disbelief�, allowing you to introduce almost anything next � the dead corpse of the Frankenstein monster could spring to life � and you�d buy it! In other words, all it really is is a conjuring trick. Use of the phrase, �emergent phenomenon� and appeal to the �massively parallel architecture of the brain� is the same kind of conjuring trick, aimed not at providing an adequate explanation, but at creating suspension of disbelief. If you�ve got enough neurons flashing all over the brain, anything could happen � even consciousness! As we describe elsewhere, there is a view � an esoteric Spiritual (and Transcendental) view � that does account for the �one / many� dichotomy and the �ghost in the machine�: it is the view that our apparently separate �consciousness� (along with our body-minds, and the material and Spiritual dimensions altogether) is arising in the One Divine Consciousness, and the sense of being �one being� (despite being associated with a �body-mind� machine having countless parts and personalities: a veritable �society�) is a direct consequence of the One Being being the inherent True Self of all. We will never discover an objective link between consciousness and body-mind, because the connection is subjective (the body-mind is arising in the Divine Consciousness, as a subjective modification of it). In other words: The ghost is not in the machine. The machine is in the Ghost! dualism � Consciousness and material reality are two separate "realities", neither reducible to the other. This was the view of many earlier thinkers (including Descartes and Galileo). material nondualism � Material reality is the fundamental "substrate" of all reality. Everything can be explained either as material reality or an emergent property of material reality. This is the starting point adopted by most contemporary scientists attempting to account for consciousness. the nondualism of Consciousness � Consciousness is the fundamental "substrate" of all reality. Everything can be explained either as Consciousness or as a modification of Consciousness, an "apparent object or entity" arising in Consciousness. The third viewpoint � which is not even considered in the references we have provided above � is the viewpoint of Adidam, as well as a number of the Eastern wisdom traditions (e.g., Advaita Vedanta). Note that we are not associating these three alternatives with the so-called "mind-body problem". The starting point of the mind-body problem is something called "mind", which is viewed as housing everything that is not obviously "material" (including "consciousness", "soul", "thoughts", "feelings", etc.). But this lumps together (in the package called "mind") something that is fundamentally different in kind (consciousness, which is subjective) with apparatus that may be non-material but still objective. The more useful and more primal duality to explore, then, is not "material/non-material" but rather "objective/subjective". These two distinctions tend to be confused by materialists (since they do not consider the possibility of non-material levels of objective reality). If one wants to identify two sides of a human being, they are better described as "consciousness" (that which is aware) and "body-mind" (the total apparatus that provides "consciousness" with the perceptual and conceptual objects of which it is aware, including physical and mental objects).